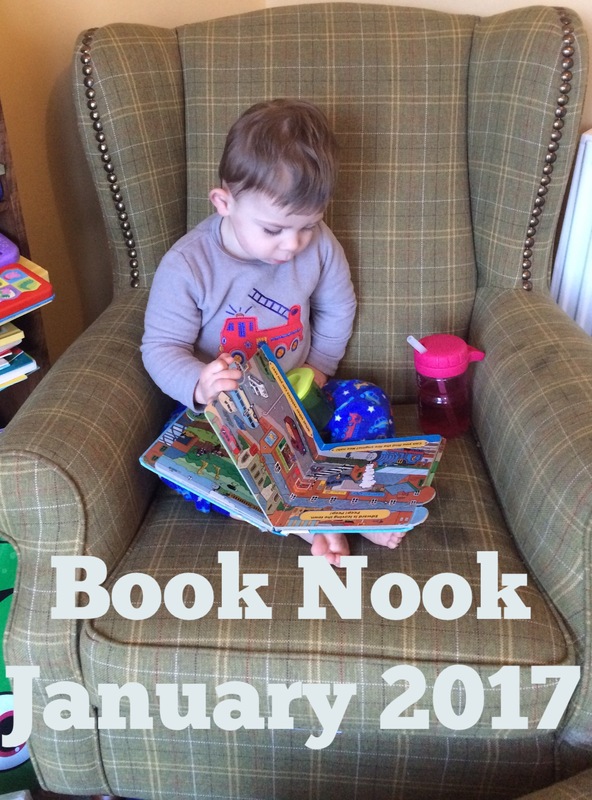 Another month of books has passed us by and what brilliant stories we have been reading. All the Christmas books are packed away for another year and, as predicted, both children got some brilliant titles as gifts. Luckily for us, when Boo said she wanted books and a Barbie for Christmas, my lovely blogger friend Pippa from Red Rose Mummy told me the Book People were having a warehouse sale. Their headquarters is around six miles away so I packed the children off in the car and off we went. There were hundreds of books at rock bottom prices and I was in book heaven. G got some hard books on transport like Diggers and Cars. Boo got a Topsy and Tim First Experiences box set with favourite titles like Go to the Dentist, Go to the Zoo, Have a Birthday Party and, my personal favourite, At the Farm. 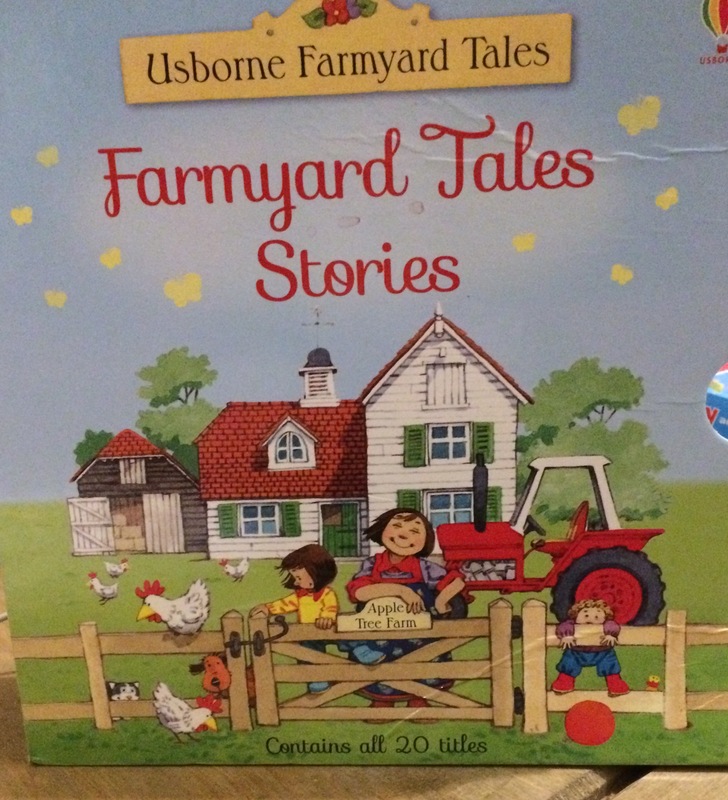 Sticking with the farming theme, I then saw this lovely Usborne collection of of Farmyard Tales and, what I love most about these books is they are quite true to real life so the children will recognise some of the things in the books like Market Day, The Runaway Tractor and The Silly Sheepdog although, in our case, it is a silly Jack Russell. 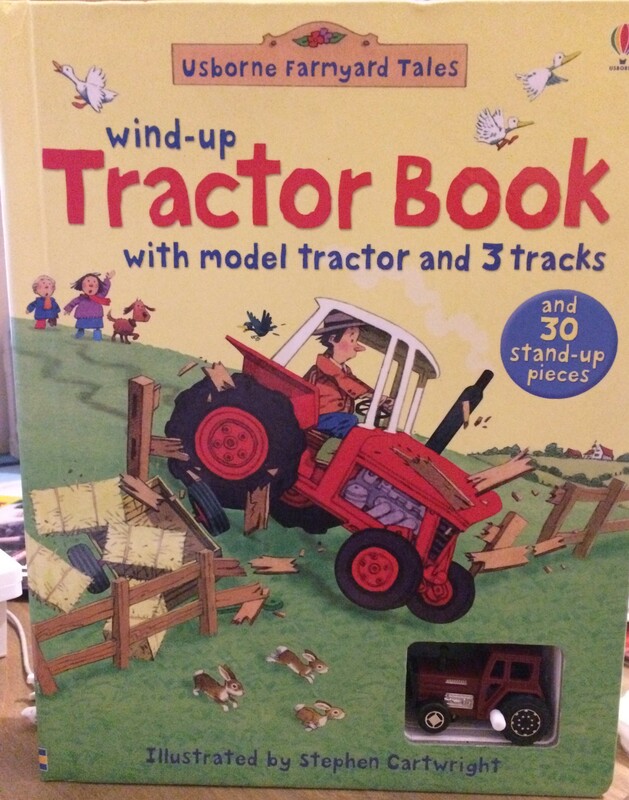 Earlier in the year, I had seen another Usborne book called Wind Up Tractor Book and honestly, it is the best book for little farm enthusiasts. 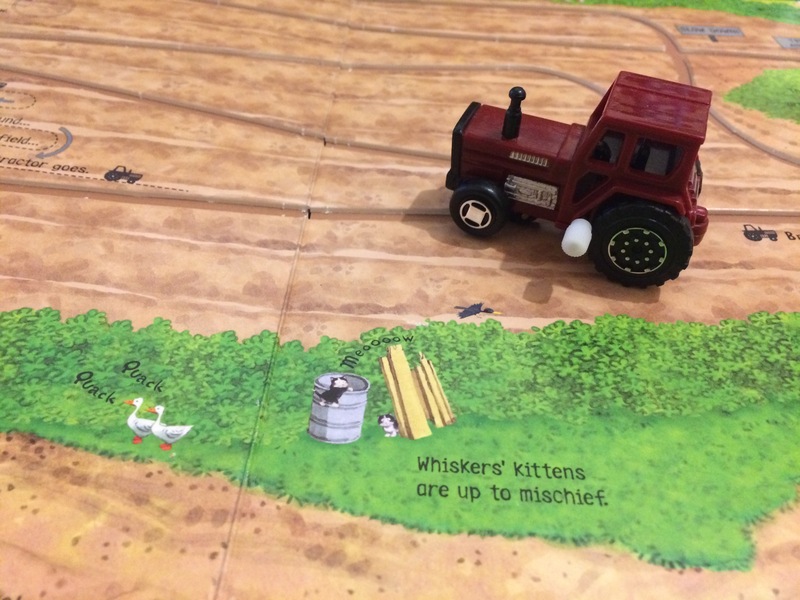 It has a small, wind up tractor with it and lots of pop out pieces to stick around a number of tracks on different pages where the little tractor actually drives along. Even I am impressed with it and both children are delighted. It is worth keeping it in mind if you ever need gift ideas for children. They also got some Christmas books that I have packed away with last month’s picks so I think I will leave them until next year to tell you about. We love giving and receiving books as gifts. 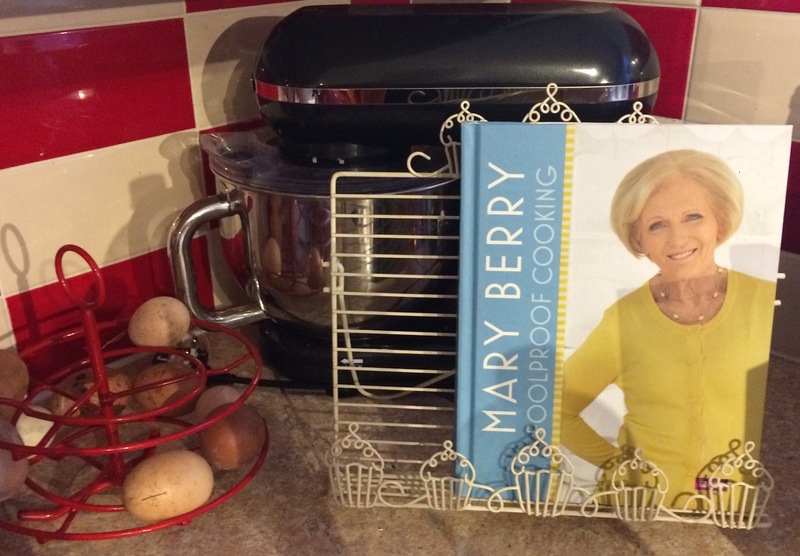 Whilst at the Book People sale, I picked up Mary Berry’s Foolproof Cooking because who doesn’t love a new recipe book to flick through? I hope you all got some lovely books for Christmas. Ooh gotta love Mary Berry! My two would love the Topsy and Tim books, we’ll have to look out for them.